PITTSBURGH — The Riverhounds Development Academy, or RDA, was set up in 2007, in association with Everton F.C. of the English Premier League. Currently, the RDA has over 1,300 players from ages 3 to 18, and on Tuesday, February 12, the RDA announced that 26 of their students would continue to play soccer at colleges across the country. Dragisich will be attending Duquesne University next year and will hope to continue to train with the Riverhounds in the offseason. 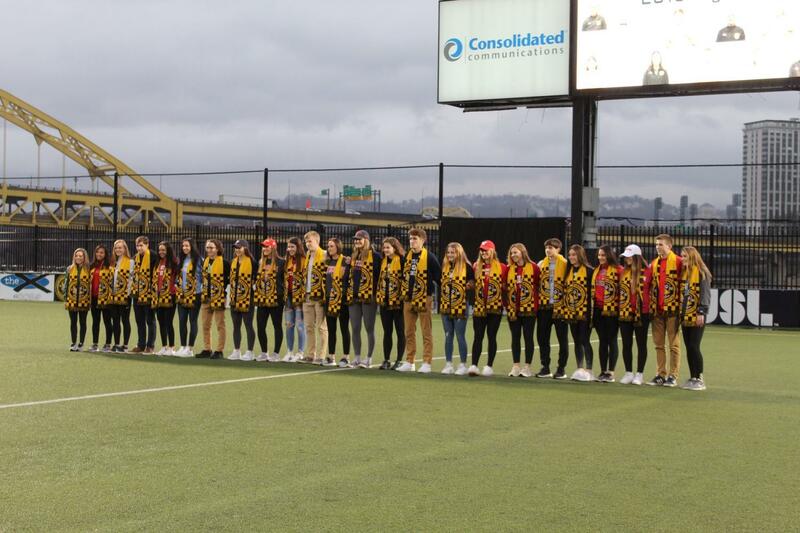 On last year’s Colonials women’s soccer team roster, there were three players that went through the Riverhounds Development Academy; sophomore midfielder Kaele Kloc, a freshman midfielder and forward Bailey Farabaugh, and freshman defender and midfielder Courtney Hurey. Last year, Kloc had eight shots and two assists in six games started; Farabaugh had one goal and two assists in 12 games started and Hurey had two assists in three games started for the Colonials.